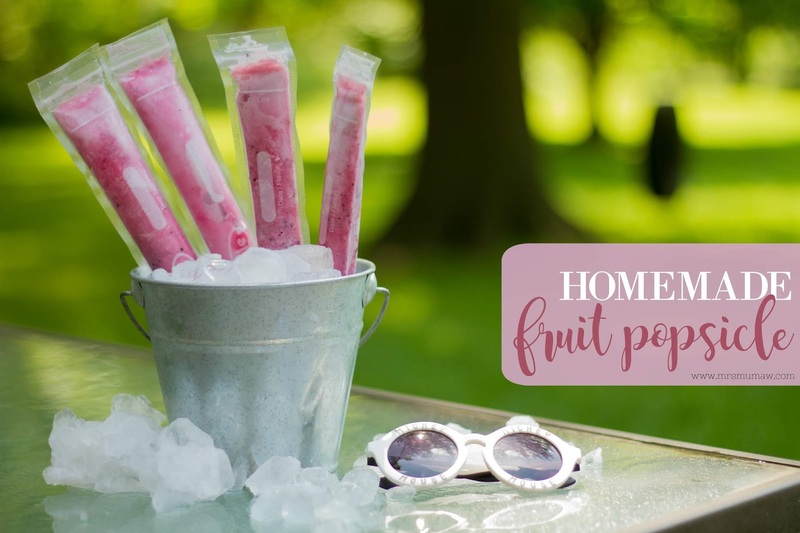 Summer Treats :: Home Fruit Popsicle's | the every things. It's summer & I can't keep any frozen treat in the freezer longer than 2 days! My girls are outside from the moment they get up til they go to bed it seems & every hour I feel like someone needs a snack! I found THESE Popsicle bags on amazon & decided I wanted to make a more healthy option for a summer time treat! These bag are so cool, & reusable! I love that they have a ziplock like closure! There are so many different recipes you could use to make these. You could even use a great organic juice just my itself & freeze. The options are endless! Blend all together. I use measuring cup to pour into the baggies, a funnel would be helpful too if you have one.